Ideally if you have been “killing it” with your retirement savings, then you can have reasons to dream about an early retirement, and if that’s the case, this article may not be for you. But, if you fall into the same category as most Americans, you may find your retirement savings severely lacking and will need to look at the associated costs of early retirement so you can plan accordingly. 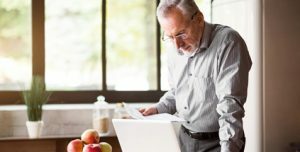 Historically, most Americans have considered how much money is needed to retire at 65, as that was the target retirement age. This is likely the result of past Social Security laws which allowed for full benefits beginning at age 65. Today, however, the average retirement age is 63. Yet, while the retirement age has lowered, the age of eligibility for receiving full social security benefits has increased – now to age 66 for many of us and 67 for those born after 1960 – and those are just some of the things to consider if you are thinking about early retirement. If a person, age 62, decided to retire this year, their social security benefit would be reduced an alarming 26 percent. Another important caveat, if you start drawing your Social Security benefits early, they will be reduced permanently. In the event of your death, your retirement date can also affect your spouse’s payment. These three considerations regarding Social Security may give you pause when evaluating your retirement income streams. You will get a good idea of how your retirement age affects your benefits by using our Social Security retirement estimator. Early retirement can take away the years you would have been bringing in your largest paycheck with the resulting savings that would have taken place during those years. Consider this statistic by the Federal Reserve Bank, “by his mid-50s, the median male worker is making about 127% more than he did when he was just starting out in his career.” While a female’s income growth tends to stop earlier than her male counterpart, both should consider how a succession of years at his/her maximum salary can affect retirement savings. The annual benefit provided by employer sponsored defined benefit pension plans is usually based on a combination of years of service and your ending salary. Both are reduced by early retirement. Also, you need to consider how early retirement could affect your defined contribution plan. The peak years of retirement savings will most likely happen when a person takes full advantage of their employer’s contributions to their 401K. With the increase of years worked, comes the opportunity of salary progression, and with the salary progression comes the potential for a larger amount of money to be contributed and/or matched. You must consider the opportunity costs associated with early retirement when it come to your pensions and investments. If you retire early you may have to withdraw from retirement savings. Determining how much to withdraw from retirement savings needs to be carefully considered as it will affect the nest egg you have worked hard to build. Health insurance will most likely become the responsibility of the retiree until Medicare kicks in at the age of 65. Benefits that are paid through employer sponsored coverage such as dental, health, vision, and any other company insurance benefits need to be weighed against the desire for early retirement. If poor health, spending more time with family, or simply just wanting more time to enjoy your hobbies is weighing into your decision of early retirement, realize that there may also be a compromise to be had if you need to continue to build your nest egg. Talking to your employer about part time work or working from home could be a possible solution. Ultimately, “Can I afford to retire?” is a question you need to answer. However, our retirement age calculator can help you determine if your current retirement savings are sufficient for early retirement. With careful planning throughout your career and a straightforward strategy for the years ahead, you can look forward to a happy and financially independent retirement.